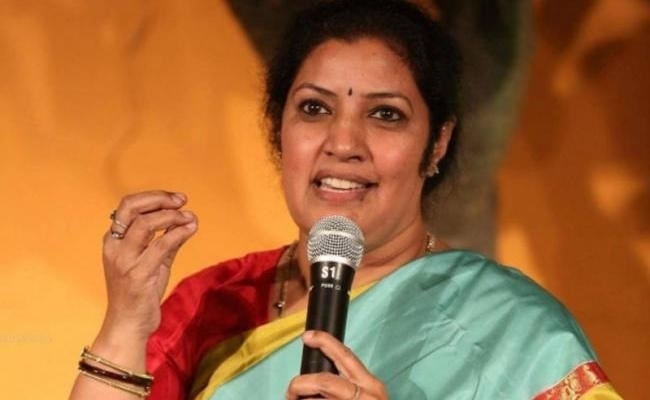 Amaravati, Jan 17: Senior BJP leader and former Union Minister Daggubati Purandeswari has been appointed as the head of Andhra Pradesh BJP’s election manifesto Committee. Purandeswari will head the nine-member panel constituted by state BJP Chief Kanna Lakshminarayana. Former Chief Secretary I.Y.R. Krishna Rao will be the convener of the Manifesto Committee. Reports were making rounds that the daughter of former Chief Minister NT Rama Rao might quit BJP in order to join YSR Congress along with her husband Daggubati Venkateswara Rao and Son. On the other hand, state BJP leaders refuting the reports on Purandeswari said that deliberate attempts are being made to damage the image of the BJP leader. Last year, Centre appointed Purandeswari as an independent director of national carrier Air India Ltd.
A former Lok Sabha Member, D Purandeswari is the daughter of legendary actor and former Andhra Pradesh Chief Minister NT Rama Rao. In 2014, Purandeswari fought Lok Sabha election on BJP ticket from Rajampet segment but lost to YSR Congress’s P. V. Midhun Reddy. In 2004, she got elected from Bapatla Constituency and later inducted into the cabinet of Prime Minister Manmohan Singh. In 2009, Purandeswari won from Visakhapatnam. Purandeswari left Congress on the issue of Andhra Pradesh bifurcation and joined BJP. Currently, she is heading the Women’s wing of BJP.